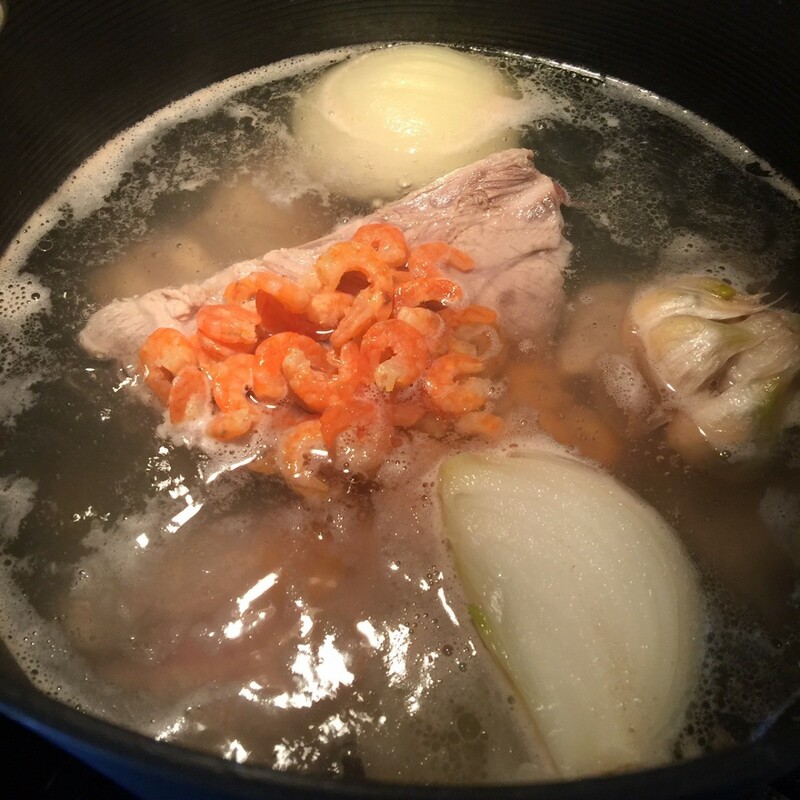 This is a completely homemade and natural broth made from pork and shrimp. 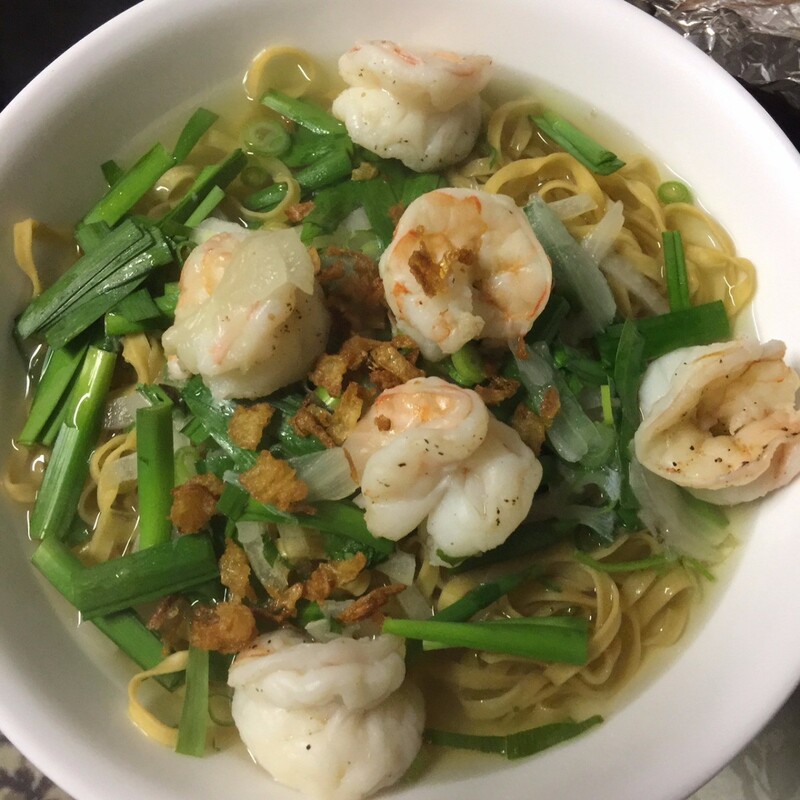 It is a perfect recipe to accommodate 4 bowls in just 1 hour! 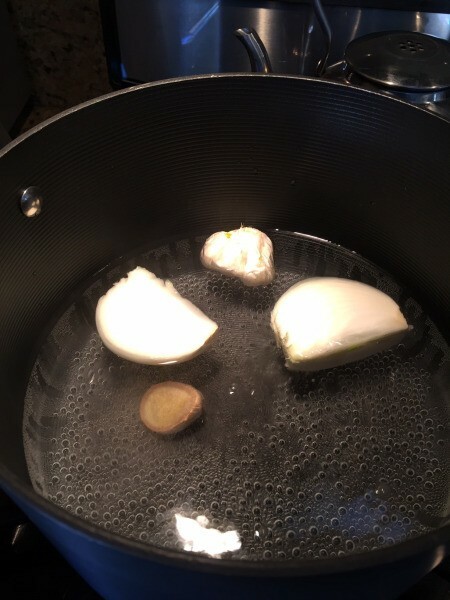 Place onion, garlic and ginger into the toaster oven and bake for 5 minutes at 350 F. Allow to cool and peel off onion skin and save 1/4 of the onion for garnishing. 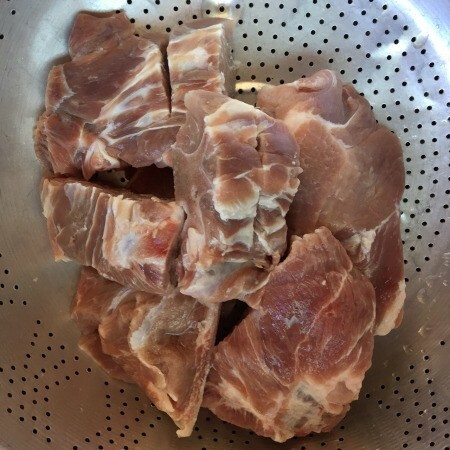 Wash and pat pork meat dry. 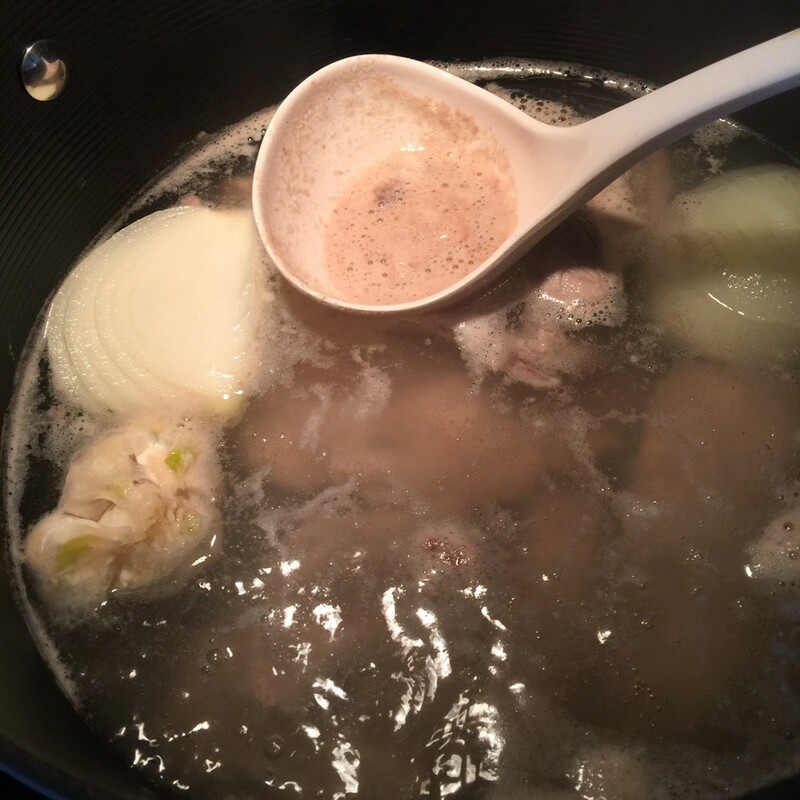 Add onion, garlic and ginger in pot. Bring pot to a boil. 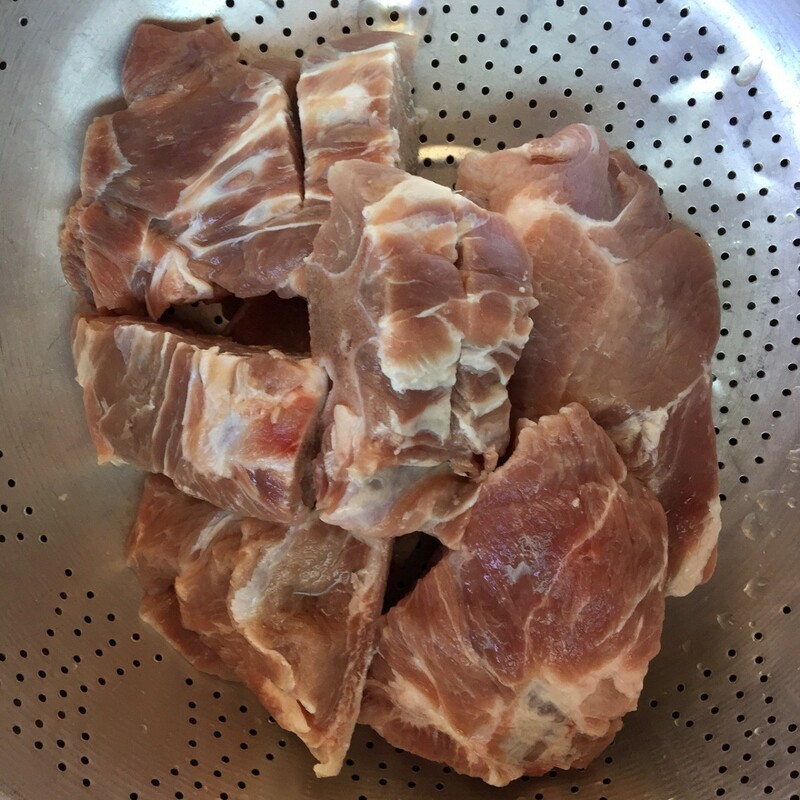 When water is brought to a boil, add pork meat, dried shrimp, salt and sugar. Cover lid and cook over medium heat for about 30 minutes. 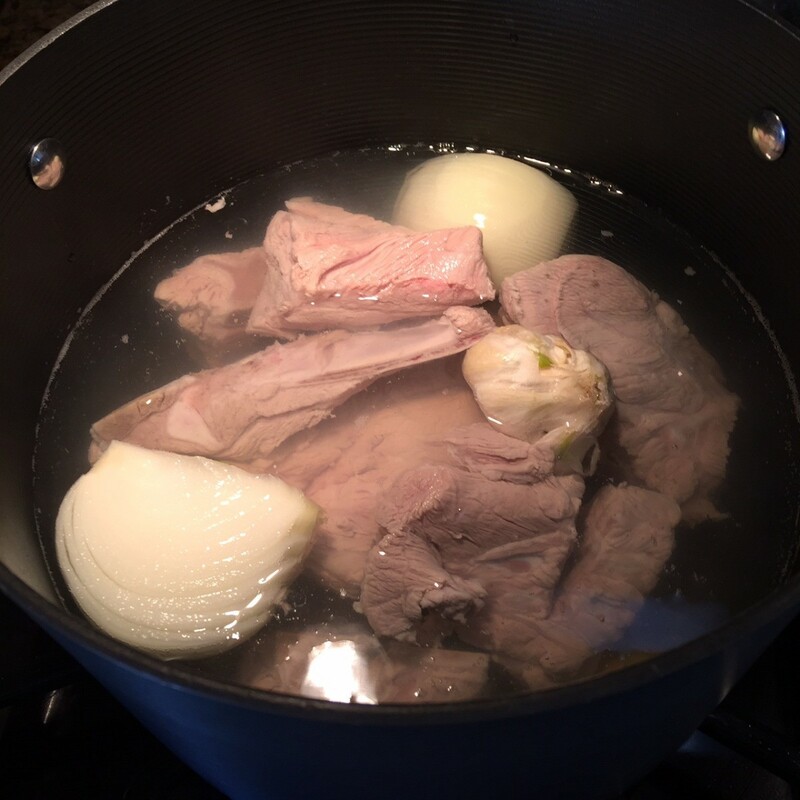 Open lid and skim scum to make your broth clear. 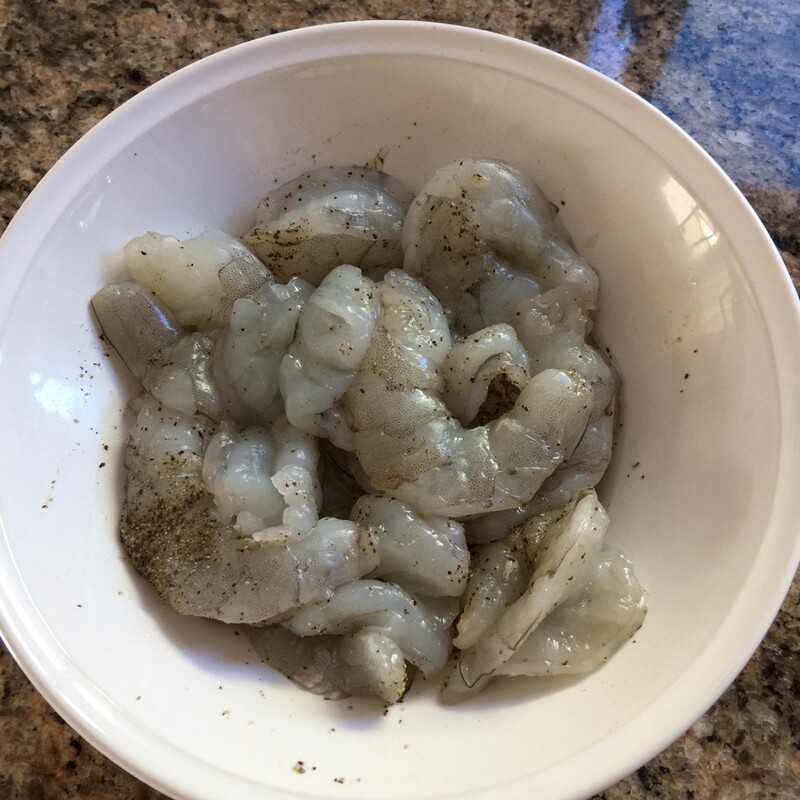 Add fish sauce and toss in your seasoned black pepper shrimp cover lid and turn off heat. Follow directions on the wonton noodle soup packaging you use (mine took only 4 minutes to make). 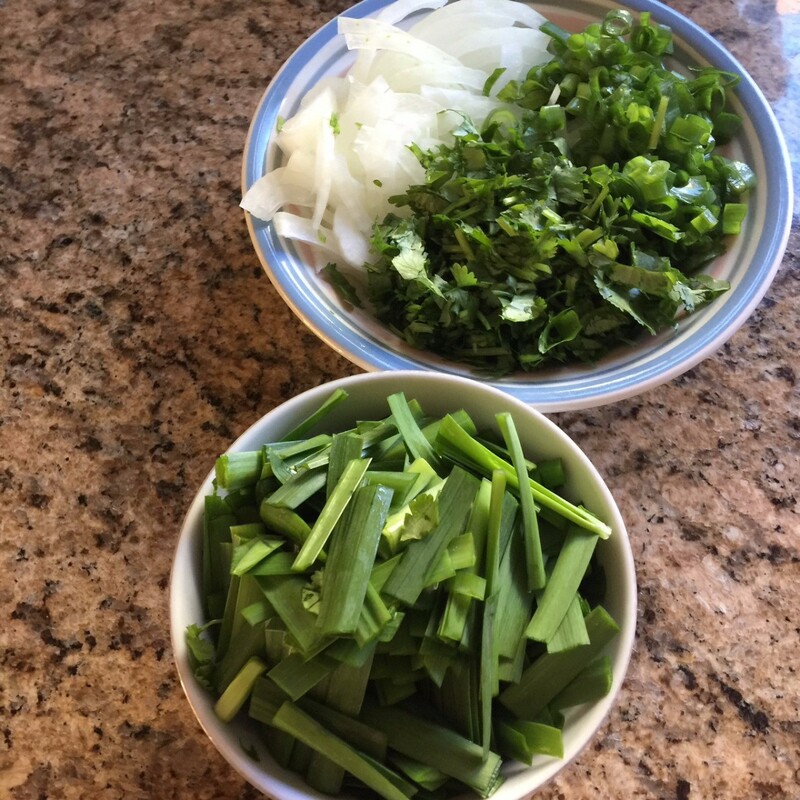 Then prep any garnishing you would like (chopped chives, onions, cilantro, fried onion). Add noodles, garnishing into bowl and top off with your delicious homemade broth! 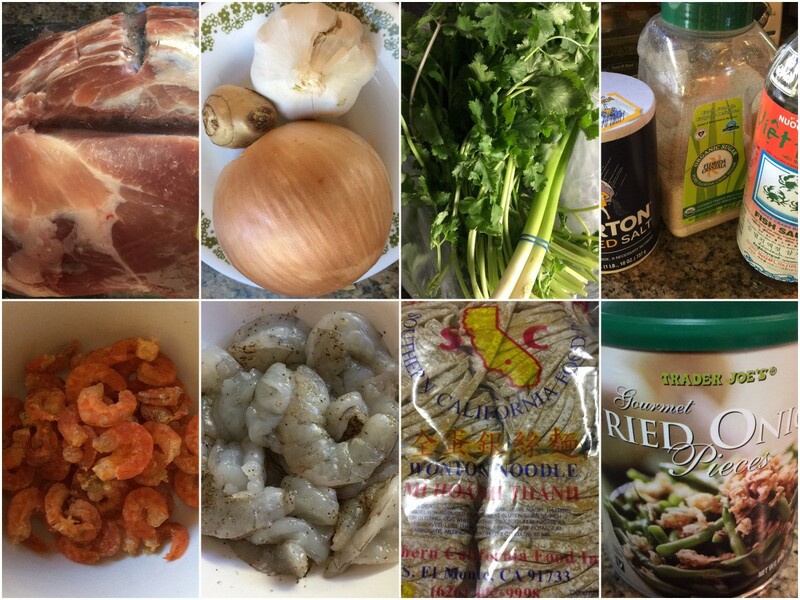 Your soup looks beautiful and delicious.